10. 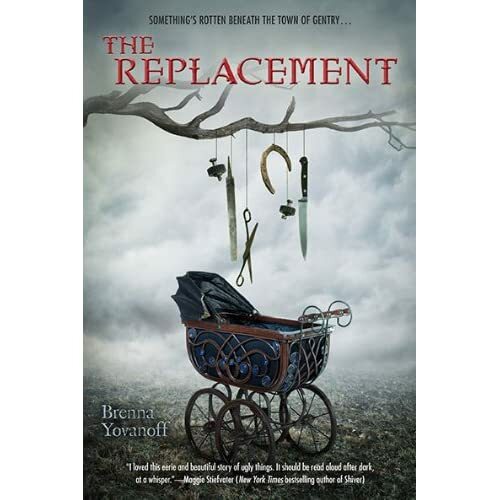 The Replacement by Brenna Yovanoff: If you’ve encountered me in the past year, you might have heard me rave about this book. I got to read an advanced copy, and as soon as I was finished, I was desperate for the book to publish so I could talk about it with the rest of the world. It’s chilling and lovely and weird and not like any book I’ve read before. I’ll be Brenna’s fan for life. 9. 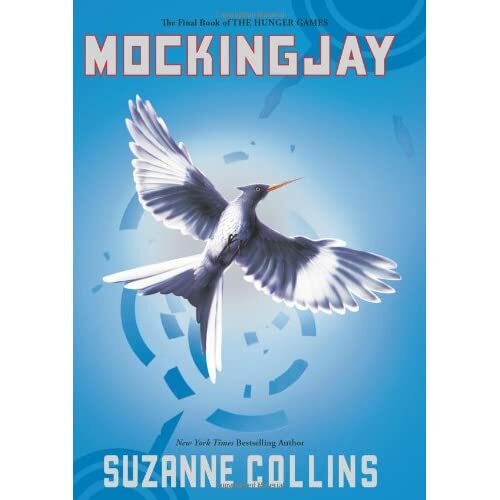 Mockingjay by Suzanne Collins: I’m hesitant to add this book to this list because I’m sure so many of you have already read it, and also because I had such a complicated with reading this book. I fell hard for the Hunger Games, and harder still for Catching Fire. But I struggled with Mockingjay. I had so many questions about the choices that Collins made. I wanted it to be different. By the time I finished the book, I was satisfied with the way the series ended, but frustrated with a big part of the journey in the third book. Mockingjay goes on my list because it was still an important book for me this year and because it made me think a lot about the expectations readers have at the end of a series. 8. 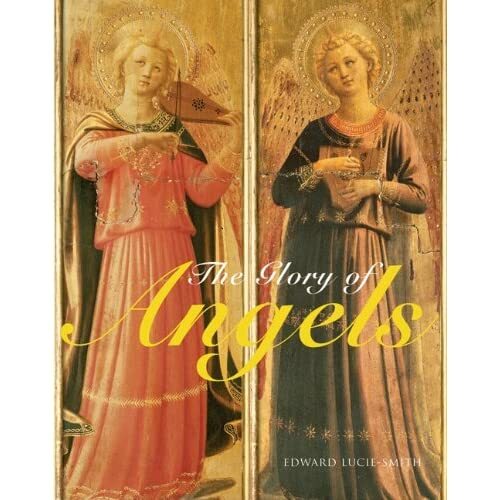 The Glory of Angels by Edward Lucie-Smith: this is an art book that explores artistic depictions of angels across history, religious, and cultures. It’s more a coffee table-stunner than a curl-up-and-read kind of thing, but it is so beautiful and such a great reference that I’m throwing it on the list. I bought it last month in the gift shop of the oldest cathedral in Santa Fe and just know I will be pouring over it when I sit down to write Rapture in a few months. If you’re all about angels, you will surely dig this book. 7. 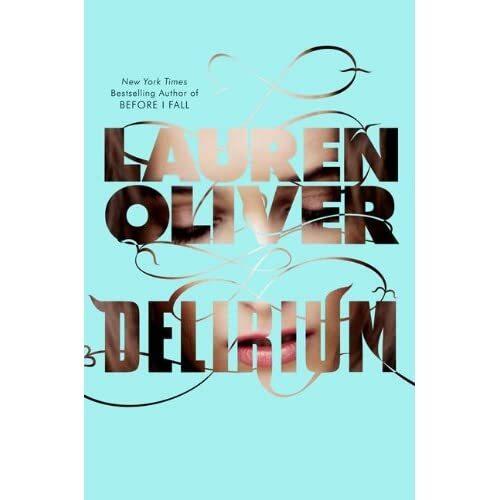 Delirium by Lauren Oliver: Like many of you, I adored Before I Fall and was eagerly awaiting Lauren’s next book. It delivers. It’s unabashed, sharp, and provocative and gives us so much to look forward to in the series. I love how much it reaches for and how elegant the prose it. Plus, Lauren Oliver is just cool. Be sure to check out Delirium when it hits stores next month! 6. 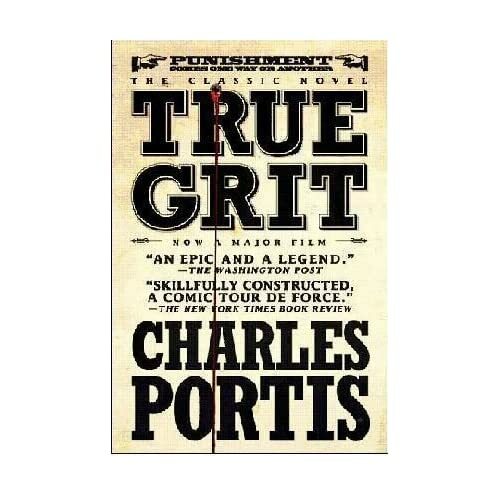 True Grit by Charles Portis: Maybe you have seen the amazing Coen brothers movie, but did you know that Charles Portis wrote the killer YA-esque book on which the film is based? I love this book, it’s the first book I read in 2010 and is just one of many hilarious Charles Portis novels. Read them all! Bonus: I think the movie is one of the rare cases where a film adaptation is as good as the book. 5. 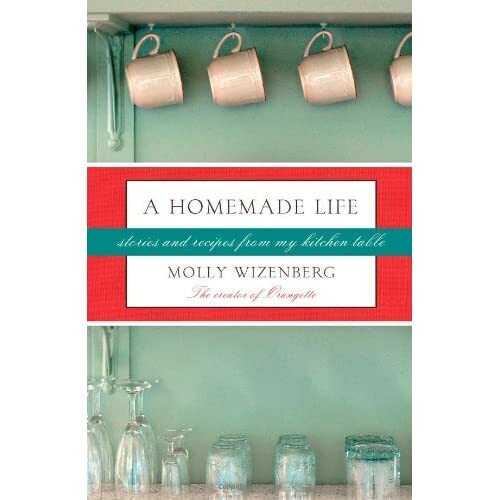 A Homemade Life by Molly Wizenberg: I love cooking. I love cookbooks and food blogs and grocery stores and farms. When I grow up, I want to be a chef. This book is part memoir/part cookbook and it made me cry at least twenty times. Seriously, I read it while I was touring in the UK and if I showed up at most of my signings with red, puffy eyes it’s because I was reading this book on the way there. (There is a lesson in there somewhere?) It’s beautifully written and (obviously) poignant and full of recipes I can attest are tres delicieux. 4. 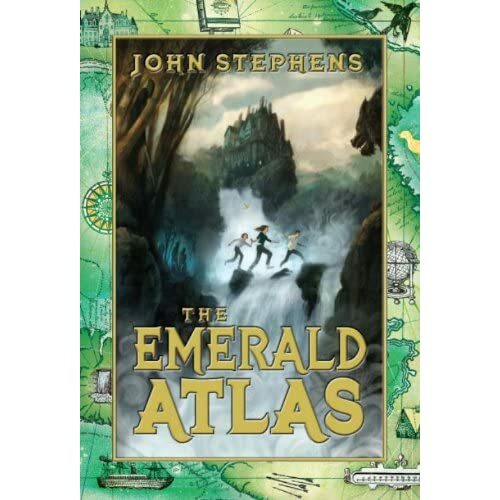 The Emerald Atlas by John Stephens: This is a pal plug, but I am not just recommending The Emerald Atlas because I happen to like John a lot—his book is a remarkably special one. The first book in the Books of Beginning, the Emerald Atlas is pretty much everything you want out of a series opener: fresh characters, big bold storytelling, humor on every single page. I love sibling stories and I love how brave this book is. I can’t wait to read the rest. 3. Tender Morsels by Margot Lanagan: Like the Replacement, this is another wonderfully peculiar read that dips in an out of worlds so deftly and depicts love with such alarming beauty that I as I was reading it, I made a list of all the friends I wanted to send copies to when I finished. My supercool publicist in the UK (also named Lauren Kate!) recommended this one to me and I’m so grateful. It’s the kind of book you read and rave about. 2. 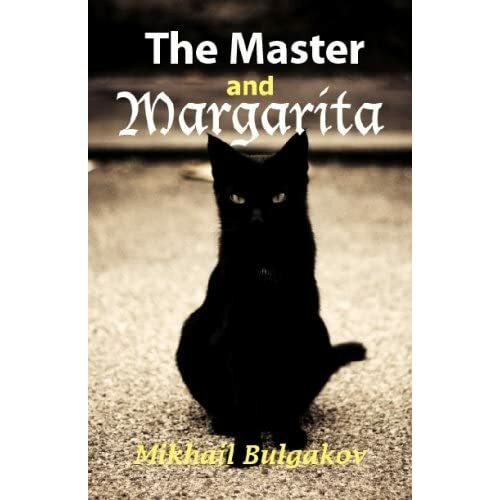 The Master and Margarita by Mikhail Bulgakov: I read this modernist Russian novel as part of some research I was doing for Passion (you’ll soon see why). I wanted to get a concept of the city of Moscow in the first half of the 20th century…but I had no idea how much this book would amaze me. It is brilliant. Imagine a juggler throwing about fifty balls into the air over the course of a novel and catching every single one of them in the final pages of the book. That’s what Bulgacov does with his plotting. So enviable. And so so funny. This is the kind of book I’ll read again and again over the years. 1. 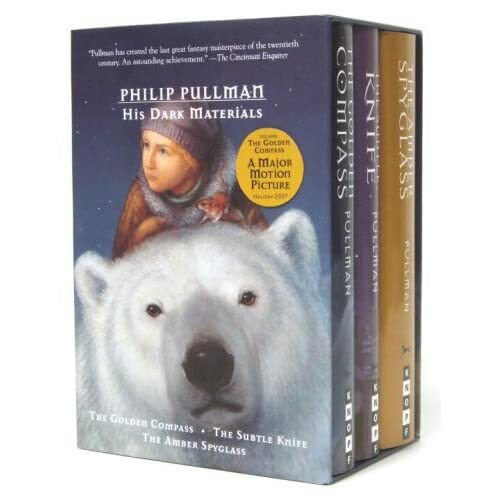 His Dark Materials (the entire trilogy) by Philip Pullman: I realize now that I was compelled to write this list mostly so that I could get to this point right here. I just finished listening to The Amber Spyglass on audio book on New Years Day and I must tell you that I haven’t had a reading/listening experience this fulfilling probably since my father read me Matilda before bed when I was a kid. I can’t heap enough praise on these three books to do them justice. I’ll just say I’ve been inspired again and again in my own writing and that if you have not read these books, you must. Or listen to the brilliant audio books if you happen to be lucky enough to be driving across the country with the one you love. How YOU can make Passion the Teen Book of the Year! I ADORE Philip Pullman’s HIS DARK MATERIALS trilogy. They are my all-time favorite books … ever. I’ve reread them many times over the years. They are incredible — moving, well-written, breathtaking storytelling, epic scope. I love them in their entirety. I bookmark it so I know what to buy next. Thanks for the recommendation! Oh, and by the way, I agree about Mockingjay. My Literature teacher and I talk about it all the time: I didn’t really like how she introduced some concepts. It was kind of disappointing. Thanks for the top 10 list. Always looking for an interesting read. I am picking up The Master and Margarita today. BTW, I agree about Mockingjay. Disappointing. I felt the characters where no longer the ones we recognized and loved in the first two books. It was missing those moments, here and there, when the characters connected and you could see love in the midst of it all. Boo. I wish you would come and visit SC we love you here!!!! Anyways i love the books you chose and agree with most of the comments……so is rapture the fourth book in the fallen series???? Thank you for making a list of great books. I am a very fast reader and VERY picky about what I read, So it’s quite hard for me to find books that I like and that I haven’t read already. And again, thanks for posting! I hope you post more books you love in the future. p.s. I love the FALLEN series. They’re my very favorite! Your simply amazing for posting this list. I definitely needed a list of books to keep me company until Passion arrives. Thanks!!!!! I feel the same way about the hunger games! When I finished the series, I was so upset! I loved the first one, the plot was original, and it was believable. The second one was okay, and the third one left a bitter taste in my mouth. So many questions were left unanswered. It wasn’t realistic. She never really speaks to her mother again. and what happened to Gale? What happened to Panem? It seemed so rush and feel completely flat. The ending seemed like an after thought and it left me feeling empty. OMG! I HAVE READ SO MANY OF THOSE BOOKS! have you ever read Alyson Noel’s books? Thanks for the book list i read ALOT at work and ill have to look into some of these… by the way your fallen series is AMAZING! i have read and reread it and am totally looking forward to PASSION. I totally agree with KearaWhite, the cover for Passion is kind of ugly in comparison to the other two. And the girl looks animated. What happened? i love the replacement my dad go be it and it is so good when i see the cover it was like OMG because i have read shiver by maggie stiefvater and she had a comment on the front that said it was a good book and i had read fallen by lauren kate and she had also said it was a good book so i read it and i can relate to some parts of the book and i was like WOW! just finished passion three days ago. i couldn’t even wait til i got to whatever part of the book. i sorta skipped some–then read the ending. i know i’m ruining the ending by doing that but it was just really good that i couldn’t wait to find out. then of course i started from the beginning. is this gonna be a movie? I absolutely love the His Dark Materials trilogy, so much so that I’m studying The Amber Spyglass in my A Level English course but I hate with a passion the fact that they changed the name of Northen Lights to The Golden Compass, mainly because its not even an accurate description! Anyway rant over, I love your books I’ve just finished reading passion, can’t wait for the next book! Love your books, there just as good as the mortal insturments. I guess im not like everybody else, i purchased the golden compass just after the movie came oit thinking it would be a good read only i find the book vvery boring. Its been about 4 years now and every time i pick it up i fall asleep after reading 2 pages. I always appreciate when authors themselves take the time to promote other books that they are reading. You hear about great books coming down the pipeline much sooner than most of us! Thank you so much for your writing! I got rapture RIGHT when it came out! And finished it the next day. I just love love love your books lauren!!! SOOOO sad that the series ended already 🙁 what else am I gonna read!!!!! When I read the prologue in FALLEN, I was instantly in LOVE with your books… just KEEP WRITING!!!!!!!! I think your choice of books is really interesting! I’ll definitely read some of them. I also really loved His Dark Materials. It was such a unique and touching story. I wouldn’t stop crying at the end. If you liked that series you should give “Dark Reflections” by Kai Meyer a go. It’s also a trilogy that takes place in Venice. I read it in it’s original language (German) but I think the translation should be amazing too. It is really is a fascinating story.